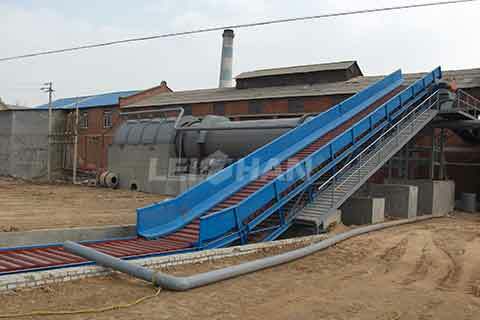 We often discuss the pulp or screen machine when referring to waste paper pulping, while we should not overlook the conveyor machine. Chain Conveyor is the first step to pulping waste paper. It takes charge of deliver pulp board or waste paper into Drum Pulper or other machine. Chain Conveyor is applied to convey various kinds of waste paper and pulp board. It’s common used machine in the process of waste paper reclamation. 1. Chain Conveyor has large conveyor capacity, it can bear quite large material. The maximum limit of material can reach 2400mm. 2. Equipment layout is flexible. It can be horizontal conveyor or inclined conveyor in one conveying line. 3. The conveying speed is accurate and steady, which can guarantee exact synchronized convey transport. 4. There are various kinds of specification, which can satisfy user’s different needs. For example, you have six different width of chain plate to choose, and the widest one can reach 2600mm. 5. The structure of Chain Conveyor is simple, so it is easy to maintain. Leizhan provides various kinds of paper and pulping machine. We are looking forward to your contact,and we will provide best machine for you.